Next, let's change the title of the survey and several other survey settings. 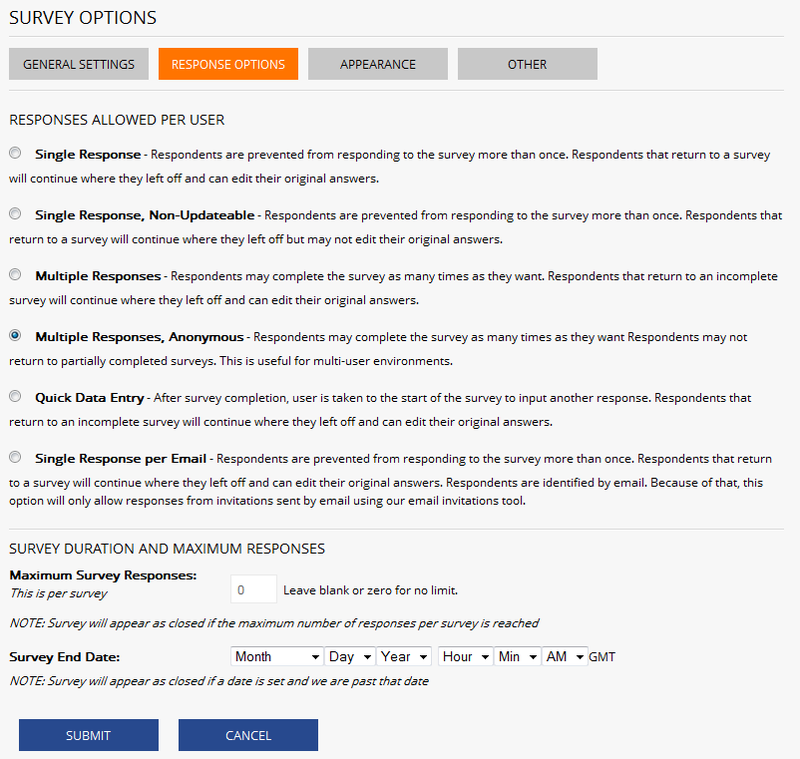 Click on the "Survey Options" button that appears in the Survey Title Bar near the top of the Survey Editor. In the Title field near the top, enter "Mark's FastFood Customer Satisfaction Survey". Next, click on the "Response Options" tab. Change the "Responses Allowed per User" from "Single Response" to "Single Response, Non-Updateable". This will prevent the user from being able to go back and change answers they have already provided. Finally, click on the "Submit" button. When you have a moment, it's worth looking through all the various survey options as they provide extreme flexibility in customizing the appearance as well as the response limits and security settings of your survey. Now would be a good time to try out the Focus Control to change the view to a specified page or question. 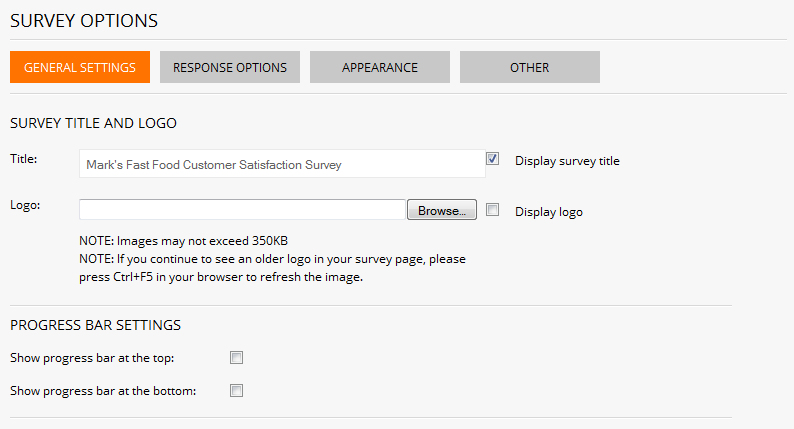 You can also click on the "Preview" button to see how the survey would appear to your respondents.